A handsome image, Ed. Super detail in the bison and good-looking habitat. Well done! What a brilliant line-up, Ed! 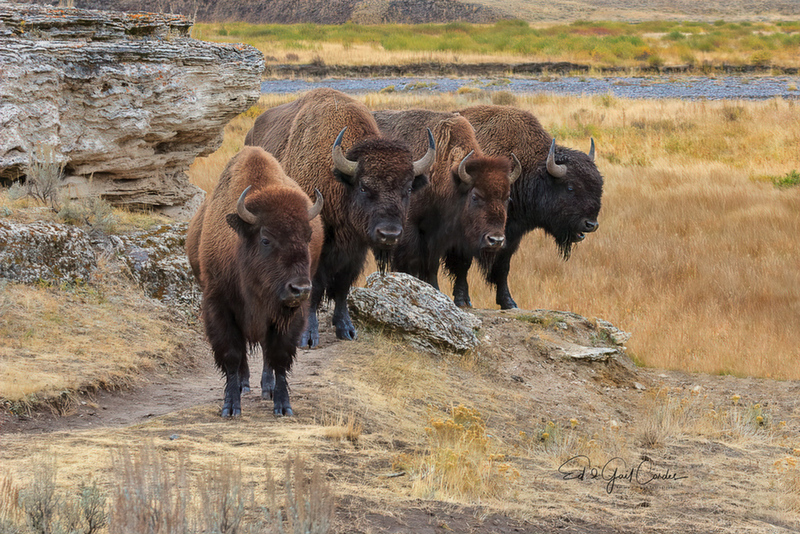 The position of the four bison with faces showing couldn't be better IMO, and the rocks add a great element to the composition. The excellent detail and soft light add the finishing touches to this fine image. A beauty! Love everything about this- the line-up and the beautiful scenery-an exceptional photo!